Welcome to the brand new website - Percival Scientific, Inc.
More information. Easier to navigate. Resources to help you create better science. All that and more is now found on Percival Scientific’s brand new website. After months of hard work, we are pleased to officially announce the launch of www.percival-scientific.com in January 2017! 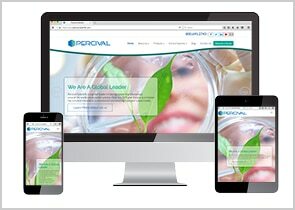 Our goal with this new website is to provide our visitors an easier way to learn about Percival Scientific’s products, services and solutions. The new website is now more responsive – allowing the visitor to access information on any device. The site is interactive and gives better access to About Us, Products & Product Comparisons, Control Systems, Case Studies, Create Better Science Blog, Quote Form and Contact. Our current and prospective clients will find useful information about our extensive line of research chambers and incubators as well as our state-of the-art IntellusUltra control systems. The case studies will highlight the projects we have completed and outline how we have helped each customer create better science! Amongst the new features the site contains an interactive method to compare features and benefits between Percival products. The site also includes integrated social media buttons for Facebook, Twitter and LinkedIn to foster improved communication with the customers. We will be constantly updating our content with helpful information, articles, blogs, newsletters, company announcements and client successes. We hope you find the new website with a fresh look and easy to access information a valuable resource for all of your research information needs. We would also like to thank Joni Campidilli, Vice-President of Sales and Marketing, for spearheading this large and successful project.